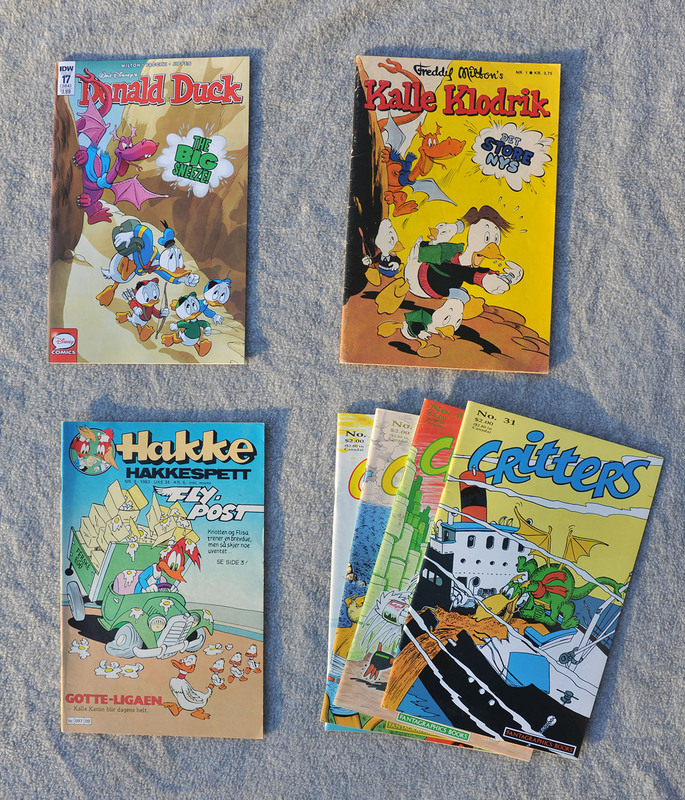 The comics pictured above have one thing in common; they all have the same story! 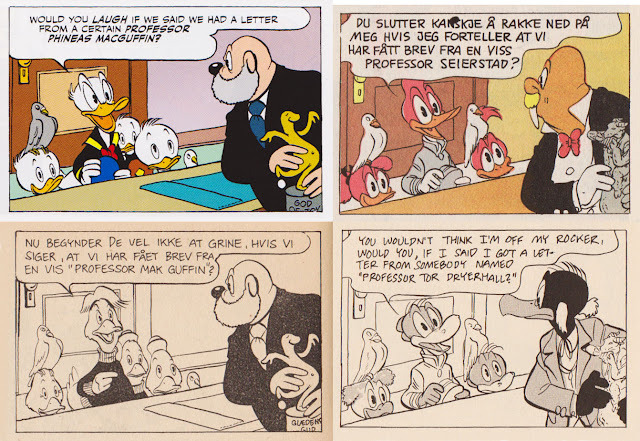 All four versions of the story are written and drawn by Freddy Milton but with different characters. The first version of the story was the Donald Duck one, and I think it might be the first Disney story Milton ever drew too (didn’t manage to 100% confirm this). Created in the mid 70’s it would take 40 years to get this story published in English, but thanks to IDW we now finally got it published in Donald Duck #17 (384). 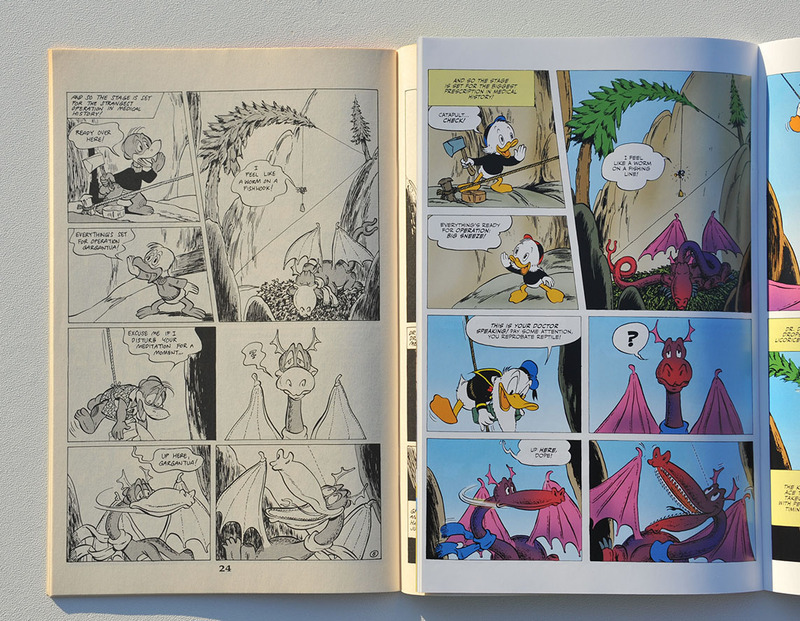 Trying to get into Disney comics, Milton didn’t just make a plot for a story; he created an entire finished 31 page adventure story with inking and all! The first attempt to sell this story was with Gutenberghus (now Egmont), but unfortunately they weren’t interested in buying a long adventure story like this and encouraged Milton to try out some shorter stories instead. He then did a few stories for Gutenbergus, scripted a couple of Italian Disney stories, but ended up creating Disney comics for the Dutch publisher on a regular basis. 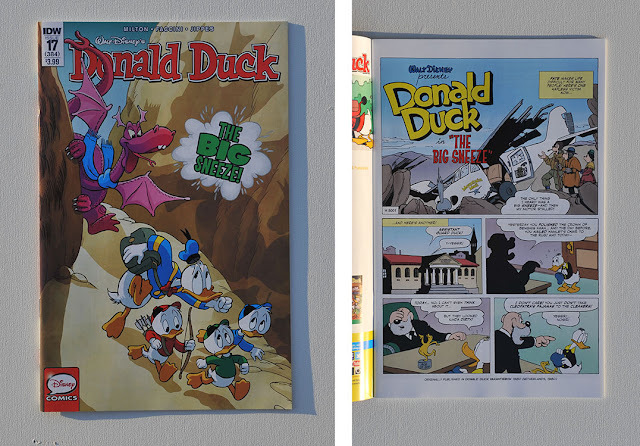 And the Donald Duck version of The Big Sneeze got shelved, with no publisher wanting to buy it. Late 1979 (probably posted before new year), Freddy Milton did another attempt to sell The Big Sneeze, this time to the American Western publishing. 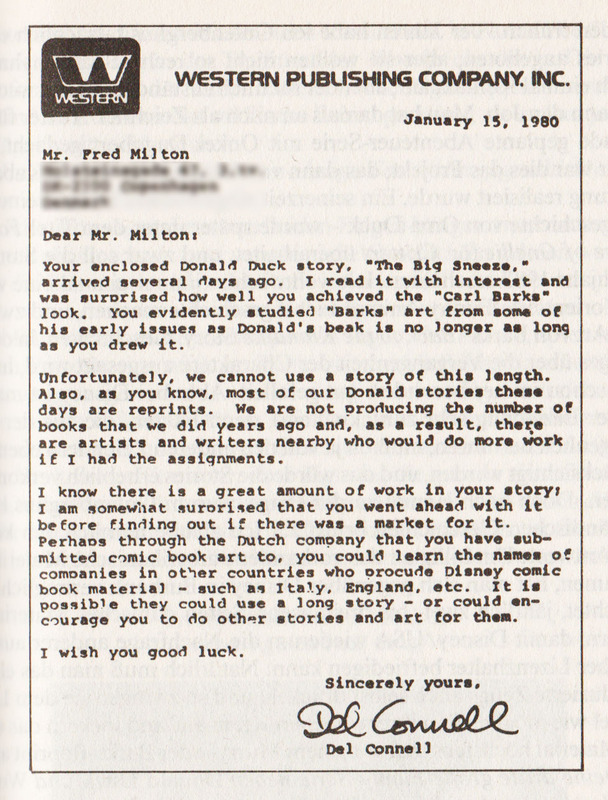 The reply is dated Jan 15, 1980 and is reprinted in the book Disney von Innen (1988). The response was the same this time too, Westerm doing mostly reprints at the time couldn’t buy the story either. But later in 1980 things happened. When being payed twice for the same 10-pager, Milton made a deal with the Dutch publisher allowing them to print The Big Sneeze in a summer album instead of creating a new story for free. But the deal was that this was going to be a one-time print, so they didn’t buy the story so other publishers with a Disney license could use it. 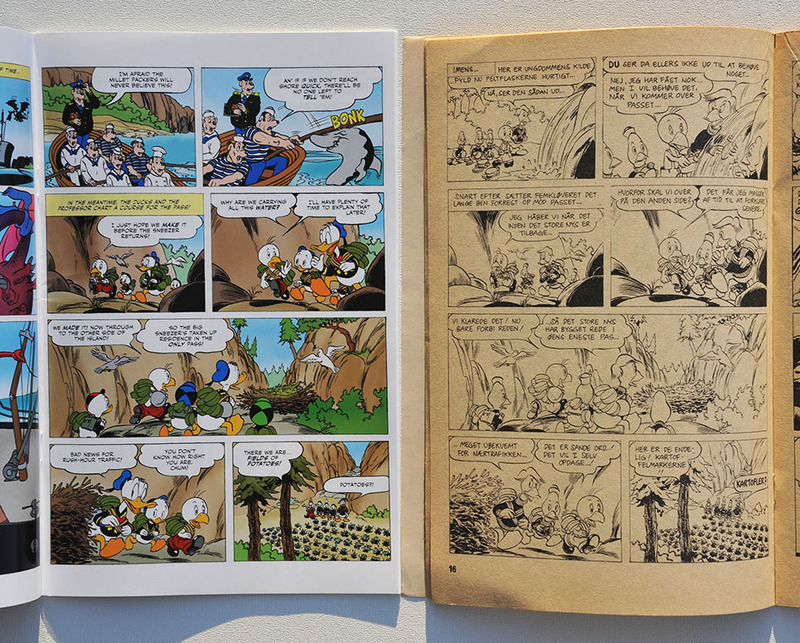 It would take another 33 years for the next print, again in the Netherlands in Donald Duck Extra. 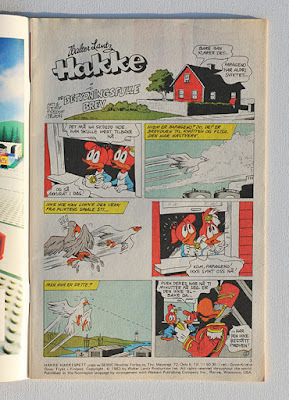 According to inducks the story then got published in Finland and Germany and now finally in English by IDW. I don’t know if any publisher actually bought the rights to the story this time, or made special deals directly with Milton – I’m just happy to finally have a print in my hands! The dialogue in the IDW print has been slightly adjusted from the original script, but it’s just making the language better – nothing significant is changed. 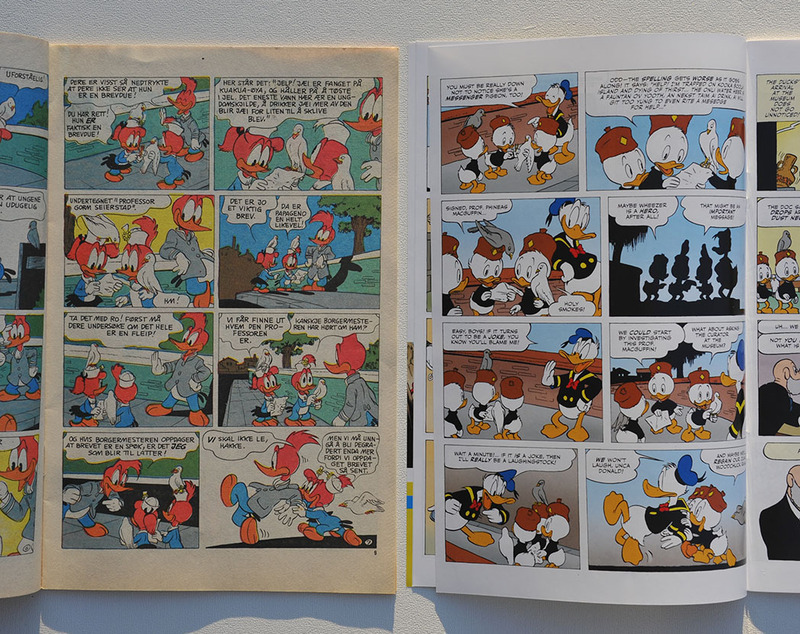 Both the storytelling and art are inspired by Carl Barks, and especially the story No Such Varmint. Some poses and scenes are even directly re-used. This is the first version of the story published, but the second version made. 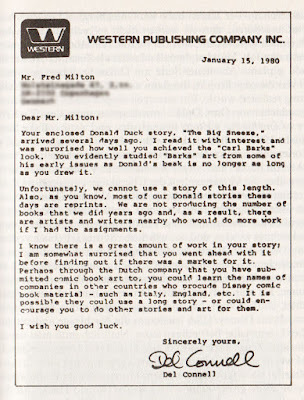 When unable to sell the Donald Duck story to Gutenberghus, Milton asked the editors if he was allowed to change the appearance of the characters, just to get the story published elsewhere. 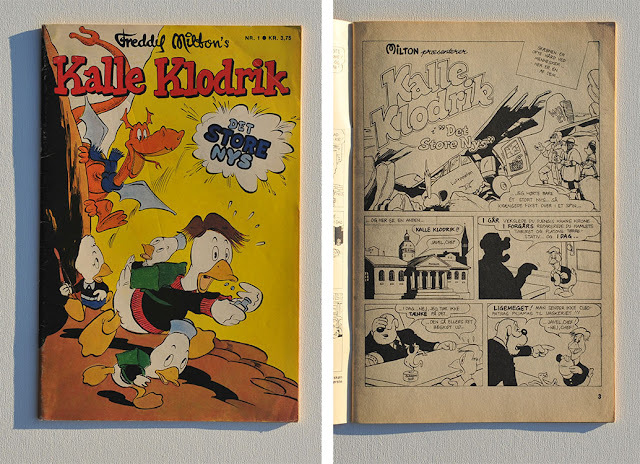 The result was Kalle Klodrik, a one-shot comic only printed in Danish to my knowledge. 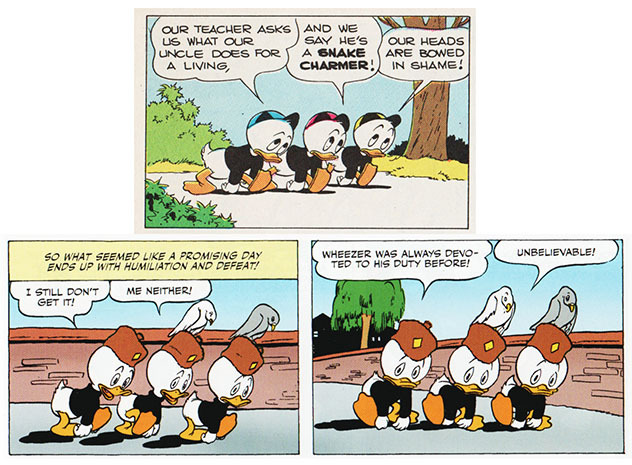 The ducks are changed to geese, but otherwise the story is pretty much the same as the Donald Duck one. There are some differences with panels cut from one version, some new in the other – but for most part both stories use the exact same art only with the main characters (partly) exchanged. As you can see on the image above, the only parts that are changed is the head and clotehs of Donald and the boys. Later the story was remade for the European production of Woody Woodpecker comics. To my knowledge this version of the story is not available in English anywhere [part of it is, check the comments], but it’s printed in several translations in Europe. Unlike the Kalle Klodrik version, this story is completely redrawn, even if the layouts for parts are the same as the duck-version. Parts of the story are also rewritten and extended. Finally the story was remade with the family Gnuff, one of Milton’s original creations. This version is actually available in English, and first published as a serial in the American Critters magazine. 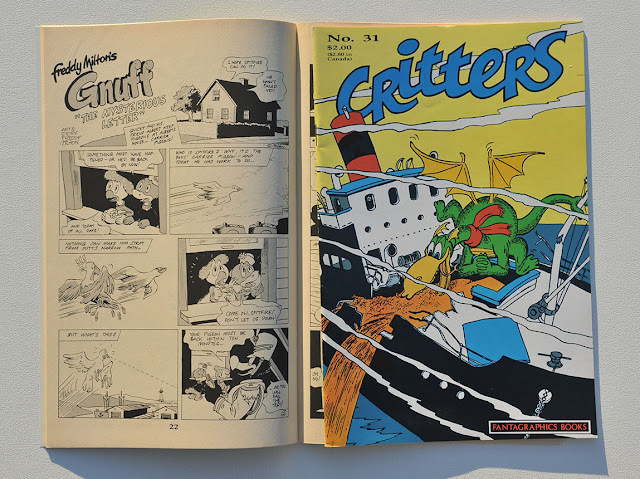 You can find it in Critters #30 to #33 (1988/1989). 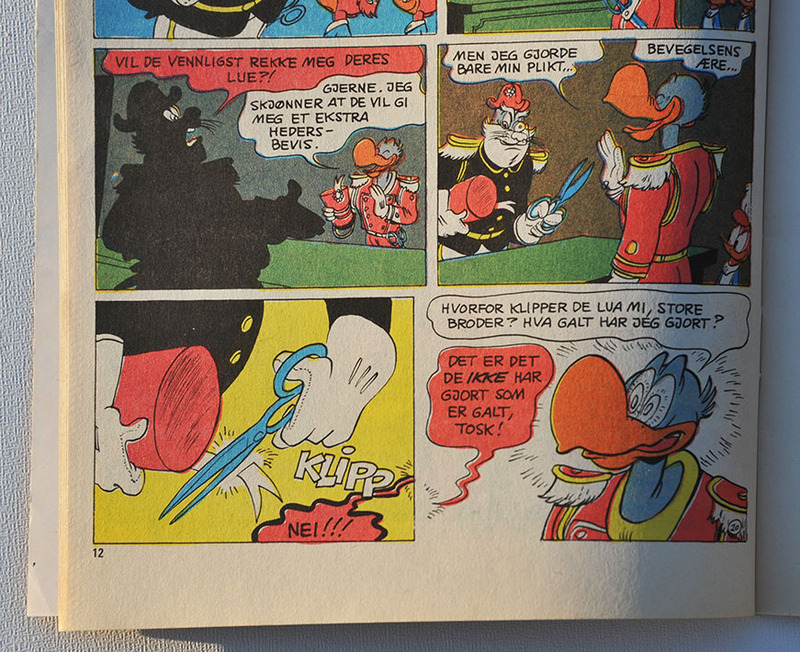 I know the story is collected in a Danish album later, but I’m not sure if it’s printed anywhere else. This story is also completely redrawn, extended and slightly different than the Donald Duck one. But the overall story is the same. When I find the comics I might update this blog with new pictures/better examples. Hey, I have that Critters issue! Thanks for the history lesson!